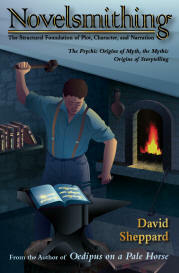 The material in this website was initially created for a course in Greek mythology at New Mexico State University at Carlsbad in their Continuing Education department. Since the students in the class were older and already held four-year college degrees, I taught it as one might an upper division or graduate course. The approach is unusual and perhaps even unique in that it introduces mythology through the use of chronological stories solely from ancient Greek literature. As originally conceived, it consisted of a smidgen of Hesiod's Theogony followed by Greek tragedies by Aeschylus, Sophocles and Euripides that told the story of Oedipus, his ancestors and descendents. The Greek gods were introduced as they were encountered in the unfolding story of Oedipus' family and rounded out by presenting the Homeric Hymns that told the story of their divine lives. This introduction to Greek mythology comes in two parts. The first concerns twice-born Dionysus, theatre's patron god. The reason we start with him is that much of mythology comes to us through ancient theatre. We'll be reading several tragedies, and it's necessary to understand him to understand tragedy. 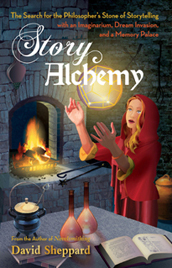 His story starts with the myth of Demeter and her daughter Persephone who was the first mother of Dionysus. 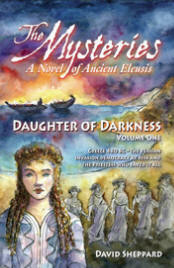 Demeter and Persephone were also the deities behind the Mysteries at Eleusis. Dionysus' life is then picked up within the legend of Kadmos, whose daughter was the second mother of Dionysus. It concludes with Dionysus incorporating his orgiastic rites at Thebes. The second part concerns the myth of Oedipus and his family. As a prelude to Oedipus, we first follow Oedipus and continue with his sons, daughters and grandsons, finally ending on the island of Thera, known now as Santorini. We’ll explore these myths through the ancient writings, relying on Aeschylus, Sophocles and Euripides primarily but also use Homeric Hymns, ancient historians and other assorted ancient writers who wrote on the subject. We’ll look at the physical reality behind the myths by viewing pictures of the sites taken by the author and discussing the archaeology. But we’ll also spend a little time talking about the nature of myth, where it comes from, and how it relates to our lives, how we might build a personal mythology. This eBook will also be about the Greek landscape. I’ll provide you with maps, not only of Greece, but also of the ancient cities. Ancient geography is one of the most interesting aspects of Greek mythology, and we’ll follow in the footsteps of the characters as they travel from place to place. Copyright © 2000-09 by David Sheppard. The material in this website may not be reproduced in whole or in part by any means without permission. 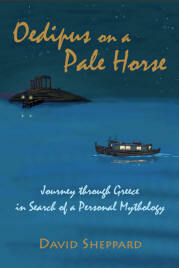 Contact the author at: dshep@greek-myth.com.